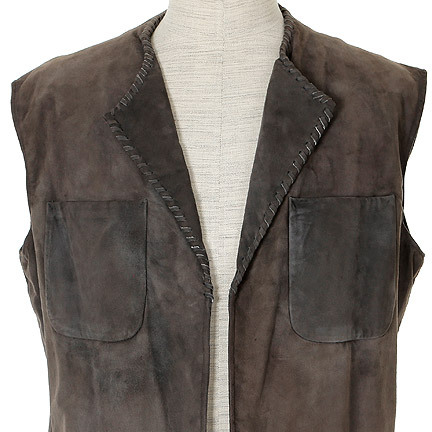 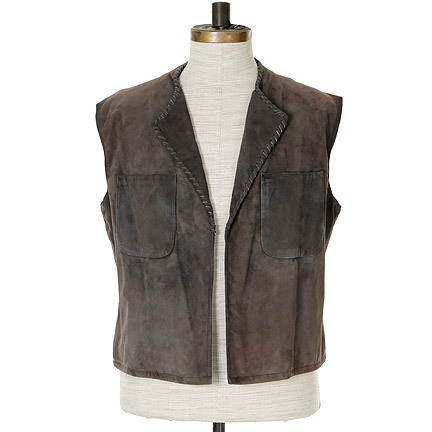 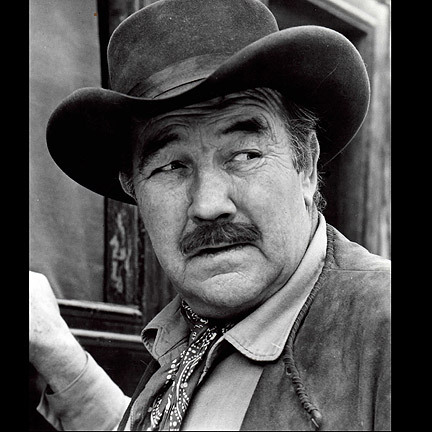 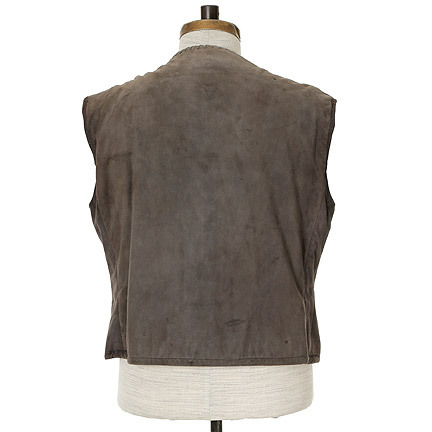 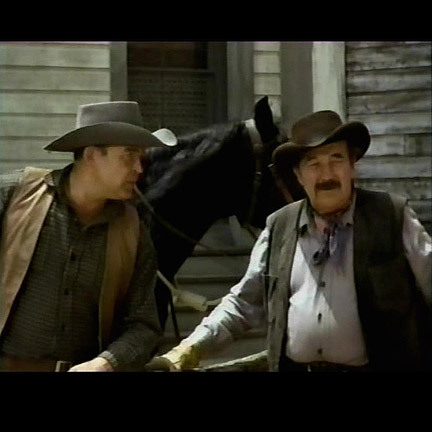 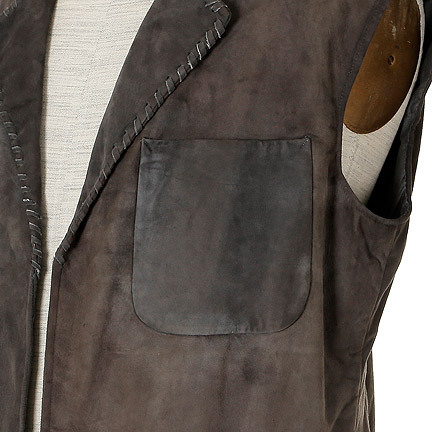 This western vest was worn by the character “Columbus Smith” portrayed by Broderick Crawford in the 1967 motion picture “Red Tomahawk,” starring Howard Keel, and Joan Caulfield. 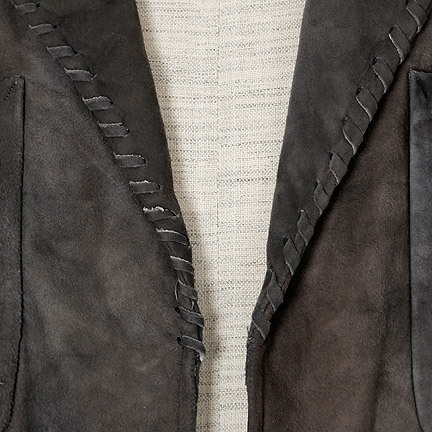 The custom made dark grey suede pullover with leather lacing along the lapel has a string tie waist and two patch pockets. 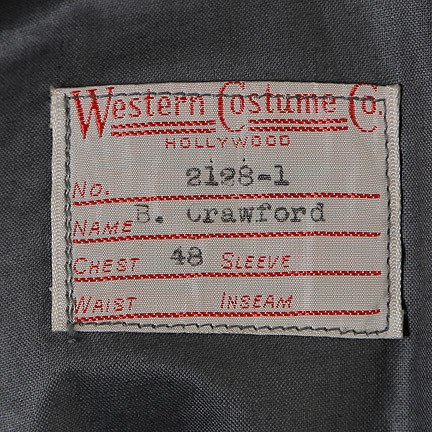 Internal “Western Costume Co.” label with “2128-1, B. Crawford, chest 48” clearly typed and “Western Costume”, “Triple” and “84” stamped. 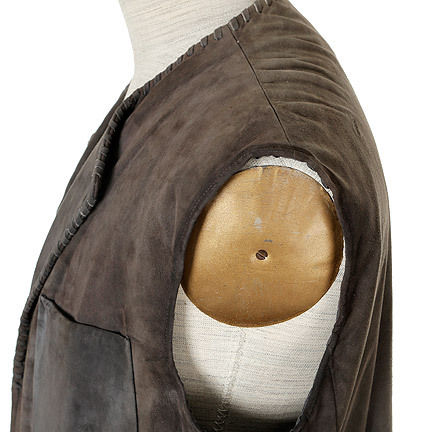 This hemline of this garment has been shortened for use in a subsequent productions. 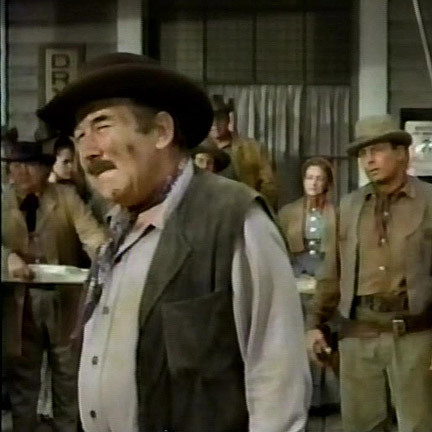 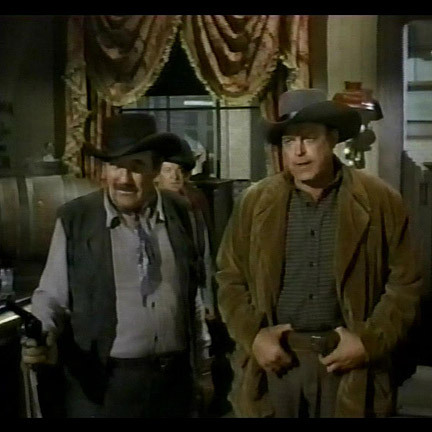 “Red Tomahawk” follows an army captain (Howard Keel) as he tries to convince a village to allow him access to their machine-guns in order to attack an onslaught of Natives. 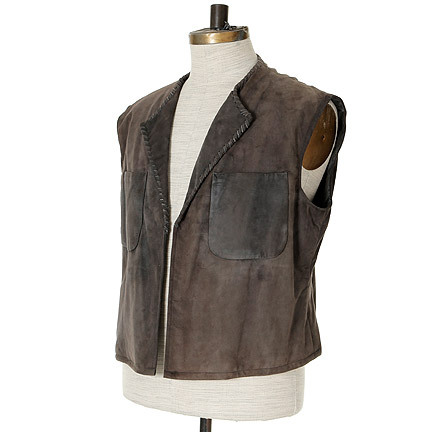 < This garment is in vintage condition and is accompanied by a letter of authenticity from the costume house.